We all know that it is wiser to do things beforehand than to deal with the results of our carelessness. However, often we face situations when it is too late to take precautionary measures. People often put off the installation of antivirus software until their computer won’t even start. This may be caused by a virus that does not allow the operating system to load. What can be done in such a situation though? In today’s tip, we are going to give you a solution. Kaspersky Rescue Disk is a boot disk image that allows users to boot an infected computer and perform a system scan on the BIOS level. It removes all malware and controls untrusted applications and viruses disguised as files that start before the system is loaded. Kaspersky Rescue Disk is a free Kaspersky Lab tool. 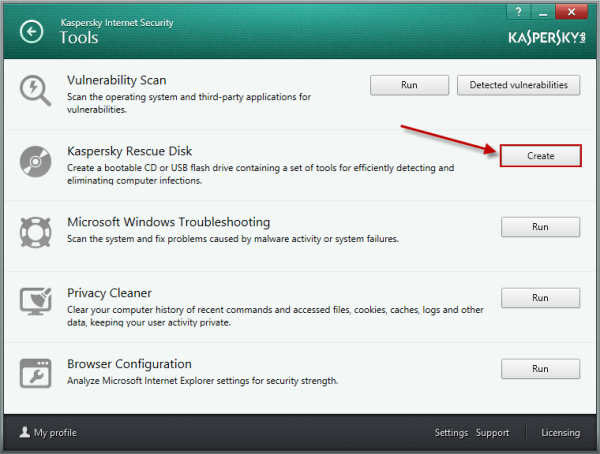 If you have Kaspersky Internet Security 2014 installed, you can create a Rescue Disk in advance to have it on hand for emergency use. If the operating system on your computer cannot be loaded, use this link to download Rescue Disk from another computer. Kaspersky Rescue Disk is an image file of the .iso format, which is a boot drive format. This file must be recorded to a removable media (CD or DVD disc, or a flash drive). To record the .iso file, you can use various applications that work with this type of file, for example, NERO, Alcohol 120%, etc. 1) Download the .iso file here. 2) Record the .iso file to a removable media. For detailed information on how to create a Rescue Disk, follow this link. 3) Load the BIOS menu. Usually, you can do it by pressing and holding the DEL button (the keys F1, F2, Esc, F11, or F12 may be used instead on some motherboards). 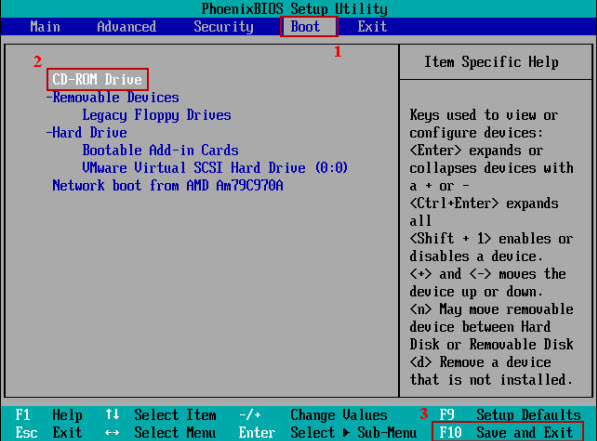 4) In BIOS, select boot from the media with the Rescue Disk image. Save the settings by pressing F10 and Enter on the keyboard. Then restart the computer with the removable media inserted. 5) Follow the instructions of Kaspersky Rescue Disk to load the graphic mode. From the graphic interface, start the objects scan.